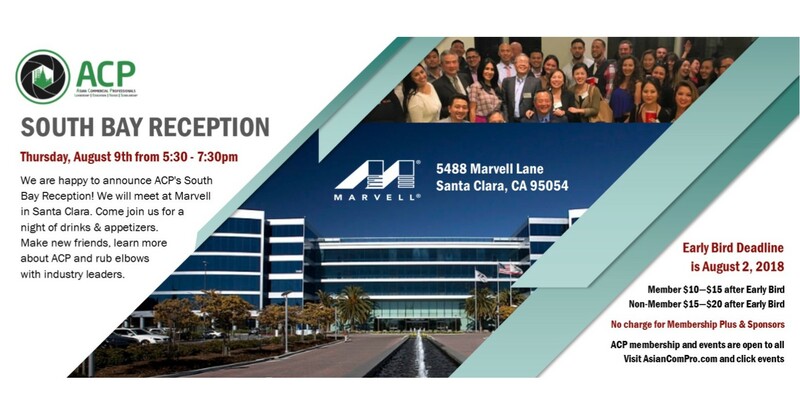 We are happy to announce ACP's South Bay Reception! On Thursday, August 9, 2018, we will meet at Marvell. Come and join us for a night of drinks & appetizers. Make new friends while you learn more about ACP and rub elbows with industry leaders. Non-Members and Guests: $15 early bird. $20 after. 1. Follow red arrows to Visitor Parking Lot and pull up to the guard shack. 2. Press red button on the monitor screen. 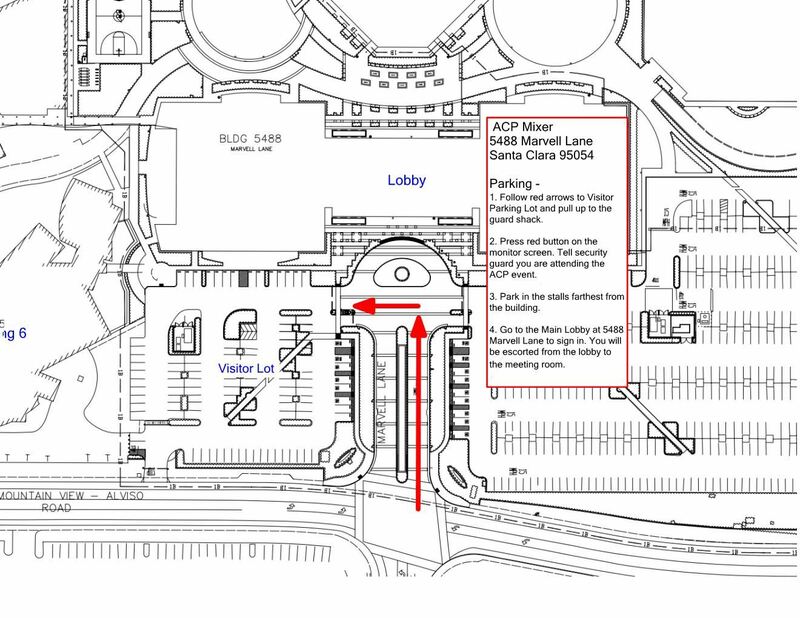 Tell security guard that you are attending the ACP event. 3. Park in the stalls farthest from the building. 4. Go to the Main Lobby at 5488 Marvell Lane to sign in. You will be escorted from the lobby to the meeting room.